1. 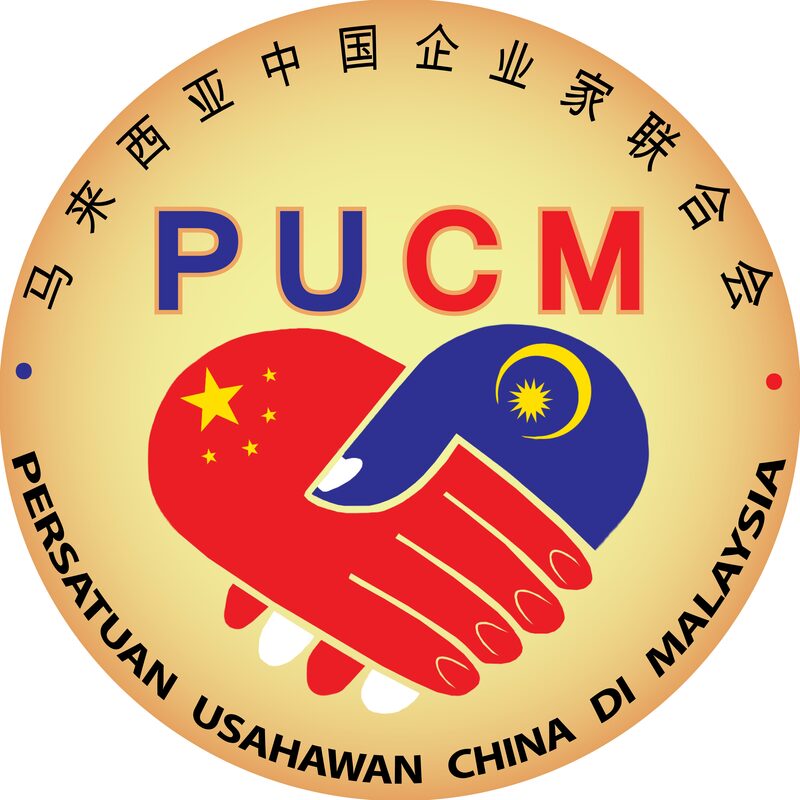 The Association shall be known as PERSATUAN USAHAWAN CHINA DI MALAYSIA (PUCM) (CHINA ENTREPRENEURS ASSOCIATION IN MALAYSIA). Hereinafter referred to as "the Association". 2. Meaning of name : “P” representing the meaning of Persatuan; “U” representing the meaning of Usahaman; “C” representing China; and “M” representing Malaysia. 2. The registered and postal addresses shall not be changed without the prior approval of the Registrar of Societies. (a) To promote business interest of China Entrepreneurs in Malaysia. (b) To promote business co-operation between the People’s Republic of China and Malaysia. (c) To promote investment and joint venture with Malaysia Entrepreneurs in Malaysia and/or in third countries. (d) To acquire hold deal with or dispose off all immoveable properties for the furtherance of the Association's objects. (e) To raise funds for the activities of the Association or in furtherance of the Association's objects. Ordinary Membership shall be opened to China National individuals doing business in Malaysia. Each ordinary member needs to hold valid visa or permit in Malaysia. All Ordinary Members shall have the rights to vote and to hold office in the Committee. Associate Membership shall be opened to Malaysian individuals who have business interest with Ordinary Members or Lifetime Members. All associate members shall have no voting rights and shall not be eligible to hold office in the Committee. Individual members/representatives shall be 18 years of age and above. The Committee may invite individuals who have or could provide meritorious services towards promoting the objective of the Association to become Honorary Members. All Honorary members shall have no voting rights and shall not be eligible to hold office in the Committee. No entrance fee and annual subscription fee need to be paid by Honorary Members. Lifetime Membership shall be opened to China National individuals doing business in Malaysia. Each ordinary member needs to hold valid visa or permit in Malaysia. All Lifetime Members shall have the rights to vote and to hold office in the Committee. 4.2 Every application for membership shall be proposed and seconded by two existing members and shall be forwarded to the Secretary who shall at the first convenient opportunity, submit it to the Committee for approval. The Committee may at its discretion reject any application without assigning any reason thereof. 4.3 Every applicant whose application has been approved as aforesaid shall, upon payment of the prescribed entrance fee and annual subscription, be admitted as a member of the Association and shall be entitled to all the privileges of membership. c) To use all the facilities and resources made available for the use of the members. 5.1 Any member who wishes to resign from the Association shall give two weeks’ notice in writing to the Secretary and shall pay up all dues. 5.2 Any member who fails to comply with the rules of the Association or has acted in a manner to bring disrepute upon the Association may be expelled or suspended for a period of time as the Committee deems fit. Before the Committee expels or suspends the member, the member shall be informed of the grounds for such expulsion or suspension in writing and be given an opportunity to explain and clear himself in person. Such suspension or expulsion shall be enforced, unless otherwise reversed by a general meeting upon appeal by the said member. iii. If the said member fails to satisfy the Committee by the reasons given or fails to appear at the appointed time and venue, the Committee may by a vote of two-thirds (2/3) majority of the Committee members present and voting in a Committee meeting resolve to expel the member concerned. The admission fee for an Ordinary Member shall be Ringgit Malaysia Three Hundred (RM300-00 )only and the annual subscriptions shall be Ringgit Malaysia. Three Hundred ( RM 300) only, which shall be paid on or before 1st of April each year. For purpose of this succession, any part of a year shall be deemed as a membership year. The admission fee for a Lifetime Member shall be a lump sum of not less than Ringgit Malaysia Three Thousand (RM3,000) only. No annual subscription is payable by a Lifetime Member after his/her admission as a Lifetime Member. 6.2 All annual subscription shall be payable to the Treasurer in advance within 14 days of the first month of the calendar year. 6.3 Any members who allows his arrears to exceed two years subscriptions shall receive a written notification signed by or on behalf of the Secretary, and shall be denied the privileges of membership until he settles his account. 6.4 Any members who allows his arrears to exceed three years subscriptions shall automatically cease to be a member of the Association, and the Committee may direct legal action be taken against him, provided that they are satisfied that he has received due notice of his debts. 6.6 Special subscriptions or levies for particular purposes may be raised from members by resolution of the general meeting of the Association. If any member fails to pay such subscription within such period as may be resolved, the amount due shall be treated in the same way as arrears of annual subscription. 7.1 The supreme authority of the Association is vested in a general meeting of the members. At least one-half of the voting membership of the Association or the voting members present represent twice the total number of committee members, whichever is the lesser, must be present at a general meeting for its proceedings to be valid and to constitute a quorum. 7.2 If half an hour after the time appointed for the meeting a quorum is not present, the meeting shall be postponed to a date (not exceeding 30 days) to be decided by the Committee, and if a quorum is not present half an hour after the time appointed for the postponed meeting, the members present shall have the power to proceed with the business of the day but shall not have the power to alter the rules of the Association or make any decision affecting the whole membership. (e) To deal with such other matters as may be put before it. 7.4 The Secretary shall send to all members at least 7 days before the meeting an agenda including copies of minutes and reports, together with the audited accounts of the Society for the previous year. Copies of these documents will also be made available at the registered place of business of the Association for the perusal of members. 7.6 An extraordinary general meeting requisitioned by members shall be convened for a date within thirty days of the receipt of such requisition. 7.7 Notice and agenda for an extraordinary general meeting shall be forwarded by the Secretary to all members at least fifteen days before the day fixed for the meeting. meeting shall be requisitioned for the same purpose until after the lapse of at least six months from the date thereof. 7.9 The Secretary shall forward to all members a copy of the draft minutes of each annual and extraordinary general meeting as soon as possible after its conclusion. 8.2 The Committee may appoint not more than eleven (11) additional appointed Committee members; and not more than eight (8) additional appointed Vice President within the unexpired tenure of office of the Committee. 8.3 Complete the process of transfer of powers and handing over ongoing works between the incumbents and the newly elected Committee. The responsibility of all daily affairs of the Association before the completion of the transfer of powers process shall remain with the incumbent Committee members. 8.4 All officer-bearers of the Association and every officer performing executive functions in the Association not necessarily to be Malaysian citizens. 8.5 Names of the above officers in paragraph (1) shall be proposed and seconded and election will be by a simple majority vote of the members at the annual general meeting. All the office-bearers shall be eligible for re-election each three years. 8.6 The function of the Committee is to organise and supervise the day-to-day activities of the Association and to make decisions on matters affecting its running within the general policy laid down by the general meeting. The Committee shall not act contrary to the expressed wishes of the general meeting without prior reference to it and shall always remain subordinate to the general meeting. It shall furnish a report to each annual general meeting on its activities during the previous year. 8.7 The Committee shall meet at least once every three months, 7 days notice of each meeting shall be given to the members. The President acting alone or not less than three of its members acting together may call for a meeting of the Committee to be held at any time. At least one half of the Committee members must be present for its proceedings to be valid and to constitute a quorum. c) The decision must be by a majority vote. Any decision obtained by circular letter shall be reported by the Secretary to the next Committee meeting and recorded in the minutes thereof. 8.9 Any member of the Committee who fails to attend three consecutive meetings of the committee without satisfactory explanation shall be deemed to have resigned from the Committee. 8.10 In the event of death or resignation of a member of the Committee, the Committee shall have the power to co-opt any other member of the Association to fill the vacancy until the next election of office-bearers. sufficient in the interest of the Association. 8.12 The Committee may appoint any sub-committee for any purpose arising out of or connected with any of the duties, functions and aims laid down under the rules. Any members can become members of this sub-committee. 8.13 Unless otherwise approved by the Registrar of Societies, no one who is not a Malaysian or foreign citizen and fulfils all the requirements stipulated under the Societies Act 1966 for the time being shall become a Committee member. 8.14 No one without the desire of assisting the Association in realising its objectives and Committee member. 8.15 Each Committee shall serve for tenure of five (5) years. All Committee members shall resign from their positions upon the conclusion of the election for new Committee member held on the General Meeting after the Committee they are serving is formed and may offer themselves for re-election. v. If he/she shall, without acceptable reason, fails to attend Committee meetings four times consecutively. 8.18. Any vacated office of a Committee member occasioned by resignation, death or disqualification shall be filled in by the unsuccessful candidate who secured the highest number of votes in the preceding election for the office as a member of the Committee to fill up the vacancy PROVIDED THAT the person filling the vacancy shall serve only the unexpired term. 8.19 The Secretary General shall submit details of all changes in the Committee to the Registrar of Societies accordingly. 8.20 The President shall convene the Committee meetings at least once every six(6) months by giving prior written notice to the Committee members. The President may call an emergency Committee meeting at anytime, as he may deem expedient. The Committee members shall attend the Committee meetings personally and no representatives thereof shall be allowed in the meetings. delivered to the Secretariat of the Association and Provided further that not less than three (3) days notice shall be given in respect of any emergency meeting and half (1/2) of the number of the Committee present (including not less than ten (10) of the requisitionists) shall form a quorum. The meeting shall be deemed aborted and no adjournment shall be allowed in the event that a quorum is not present at the meeting within thirty (30) minutes from the time appointed. 9.1 The President shall chair all General and Committee meetings. He shall also represent the Association in its dealings with outside persons. 9.2 The Deputy President shall assist the President and deputise for him in his absence. 9.3 The Vice-Presidents shall assist the Deputy President and one of them shall deputise for him in his absence. 9.4 The Advisor shall have a general advisory role to the Association and shall assist the President Deputy President and the Vice-Presidents in carrying out of their respective duties. 9.5 The Secretary shall keep all records, except financial, of the Association and shall be responsible for their correctness. He will keep minutes of all General and Committee meetings. He shall maintain an up-to-date Register of Members at all times. 9.6 The Treasurer shall be responsible for the financial affairs of the Association and collect and disburse all moneys on behalf of the Association and shall keep an account of the monetary transactions and shall be responsible for their correctness and preparation of its annual accounts. He is authorised to expend up to Ringgit Malaysia Five Thousand (RM5000.00) per month for petty expenses on behalf of the Association. He will not keep more than Ringgit Malaysia Five Thousand (RM5000.00) in the form of cash and money in excess of this will be deposited in a bank to be named by the Committee. Cheques, etc. for withdrawals from the bank will be signed by any two of the President, Deputy President, Treasurer and Secretary. 9.7 The ordinary Committee Members shall assist in the general administration of the Association and perform duties assigned by the Committee from time to time. 10.1 All monies, whether in cash, cheques or other promissory notes, received by the Association shall be deposited into a bank account approved by the Committee in the name of the Association. 10.2 All payment vouchers of the Association shall be subject to the approval of the Secretary General. All cheques drawn on the account of the Association shall be signed jointly by either the President or the First Vice President and the Treasurer. 10.3 The Treasurer may keep in his custody a sum of cash not exceeding Ringgit Malaysia Thousand (RM5,000) at any one time for petty expenses. 10.4 The Treasurer shall annually at the end of each financial year ending 31st December prepare an annual balance sheet and financial statements in accordance with approved accounting procedures and standards and submit the same duly audited by the appointed auditor to the Committee and the Annual General Meeting for approval respectively, with another copy made available at the registered address of the Association for inspection by the members. 10.5 No expenditure exceeding RM200,000-00 (Ringgit Malaysia Two Hundred Thousand) at any one time shall be incurred without the prior sanction of the Committee and no expenditure exceeding RM250,000-00 (Ringgit Malaysia Two Hundred and Fifty Thousand) in any one month shall be incurred without the prior sanction of a General Meeting. Expenditure less than RM200,000-00 (Ringgit Malaysia Two Hundred Thousand) at any one time may be incurred by the President together with the Secretary or the Treasurer. 10.6 The financial year of the Association shall commence on the 1st January and end on 31st December every year. 11.1 Two persons who shall not be office-bearers of the Association, shall be appointed by the annual general meeting as Honorary Auditors. They shall hold office for two year an may be reappointed. 11.2 The Auditors shall be required to audit the accounts of the Association for the year, and to prepare a report or certificate for the annual general meeting. They may also be required by the President to audit the accounts of the Association for any period within their tenure of office, at any date, and to make a report to the Committee. 12.2 Unless duly authorized by a resolution of three-fourths (3/4) majority of members present and voting at the Annual General Meeting or Extraordinary General Meeting, the designated office bearers shall not sell, transfer or mortgage or deal with the properties of the Association in any manner whatsoever. 13.1 In the event of any question of matter pertaining to day-to-day administration which is not expressly provided for in this Constitution, the Committee shall have power to use their own discretion. The decision of the Committee shall be final unless it is reversed at a General Meeting of members. 13.2 This Constitution is written in the English and Chinese Languages. In the event of any discrepancy or conflict between the two versions, the English version shall prevail. 13.3 The Committee shall have the ultimate power to interpret this Constitution or any rules and regulations made thereunder or any part thereof respectively in the event of any ambiguity or differences in the interpretation thereof and such interpretation shall be binding of the members of the Association. 14.1 The Association may appoint individual/organisation as the advisor of the Association with majority consent of the Committee Members meeting. 14.2 All retiring presidents (including all past presidents) shall ipso facto become Life Honorary President of the Association upon his/her retirement from office. 14.3 The Committee may appoint individuals who have made special contributions or rendered meritorious service to the Association to serve as Honorary President(s) for a term equivalent to the unexpired tenure of office of the Committee making the appointments. 14.4 The office of Life Honorary Presidents and Honorary Presidents are all of an honorary nature. The life honorary presidents and Honorary Presidents may attend all the meetings convened by the Association and speak therein PROVIDED THAT nothing herein shall confer any right on the same to vote in the aforesaid meetings. 15.1 Gambling of any kind, whether for stakes or not, is forbidden on the Associations premises. The introduction of materials for gambling or drug taking and of bad characters into the premises is prohibited. 15.2 The funds of the Association shall not be used to pay the fines of members who have been convicted in court of law. 15.3 The Association shall not engage in any trade union activity as defined in any written law relating to trade unions for the time being in force in Malaysia. 15.4 The Association shall not attempt to restrict or interfere with trade or make directly or indirectly any recommendation to, any arrangement with its members which has the purpose or is likely to have the effect of fixing or controlling the price or any discount, allowance or rebate relating to any goods or service which adversely affect consumer interests. 15.5 The Association shall not be involved in any political activity or allow its funds and/or premises to be used for political purposes. 15.6 The Association shall not hold any lottery, whether confined to its members or not, in the name of the Association or its office-bearers, Committee or members unless with the prior approval of the relevant authorities. 15.7 The Association shall not raise funds from the public for whatsoever purposes without the prior approval in writing of the relevant authorities inclusive of the Registrar of Societies. 15.8.1 Visitors and guests may be admitted into the premises of the Association but they shall not be admitted into the privileges of the Association. All visitors and guests shall abide by the Associations rules and regulations. 16.1 No alteration or addition/deletion to this Constitution shall be made except at a general meeting and with the consent of two-thirds (2/3) of the voting members present at the General Meeting, and they shall not come into force without the prior sanction of the Registrar of Societies. (b) Deal with any matter affecting the Association which is not specifically provided for by the Articles herein. 17.1 The Association shall not be dissolved, except with the consent of not less than three fourth (3/4) of the total voting membership of the Association for the time being resident in Malaysia expressed, either in person or by proxy, at a General Meeting convened for the purpose, testified by their signatures to an instrument of dissolution. 17.2 In the event of the Association being dissolved as provided above, all debts and liabilities legally incurred on behalf of the Association shall be fully discharged, and the remaining funds will be disposed of in such manner as the General Meeting of members may determine or donated to an approved charity or charities in Malaysia. 17.3 A notice of Dissolution shall be given within seven (7) days of the dissolution to the Registrar of Societies. Date: We the undersigned hereby confirmed that we have approved the constitution as contained in the preceding paragraph. 17.4. In the event of any dispute arising amongst members, they shall attempt to resolve the matter at an Extraordinary General Meeting in accordance with this Constitution. In the event the members fail to resolve the matter, they may bring the matter to a court of law for settlement.